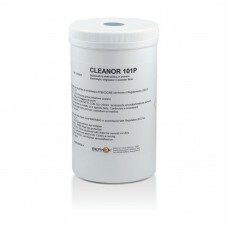 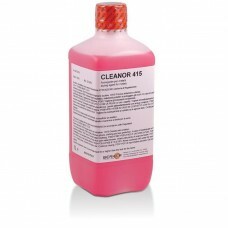 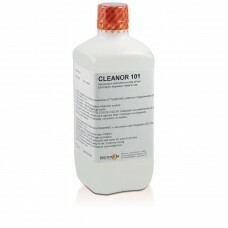 CLEANOR 101 ELECTROLYTIC DEGREASER PRECIOUS METALCLEANOR 101 is a high performance electrolytic degreaser able to electrolytically activate any metal surface and make it suitable for subsequent galvanic depositions.General characteristics Metal / Type Degreasing ..
CLEANOR 101P(Degreasing Salt) CLEANOR 101P is a high-performance electrolytic degreaser able to electrolytically activate any metal surface and make it suitable for subsequent galvanic depositions. 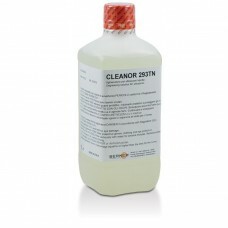 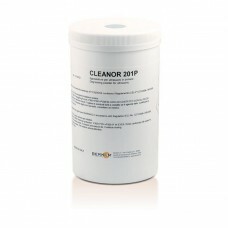 General characteristics: Metal / Type Degreasing C..
CLEANOR 201P ULTRASONIC DEGREASER SUITABLECLEANOR 201 is a degreaser for ultrasonic washing machines particularly suitable for precious metals, with high dissolution properties of cleaning pastes and processing oils.General characteristics Metal / Type Degreasing ..
CLEANOR 203 ULTRASONIC DEGREASER INDUSTRIAL USECLEANOR 203 is a very tough degreaser for ultrasonic washing machines particularly suitable for ferrous metals with high dissolution properties of cleaning pastes and processing oils.General characteristics Metal / Type D..
CLEANOR 293TN ULTRASONIC DEGREASER SUITABLE CLEANOR 203 is a very tough degreaser for ultrasonic washing machines particularly suitable for ferrous metals with high dissolution properties of cleaning pastes and processing oils.General characteristics Metal / Type ..
CLEANOR 301 NEUTRALIZATION BATH PLATINGCLEANOR 301 is a neutralization / activation necessary for the perfect cleaning of pollutants coming from galvanic solutions such as degreasing residues.General characteristics Metal / Type Neutralization Preciou..
CLEANOR 302P NEUTRALIZATION BATH PLATINGCLEANOR 302P is a neutralization / activation necessary for the perfect cleaning of pollutants coming from galvanic solutions such as degreasing residues.General characteristics Metal / Type Neutralization Preci..
CLEANOR 415 RINSE AID DRYING CONCENTRATED BATHCLEANOR 401 is a chemical drying agent used to remove most of the water present on the surface of the pieces after the final washings of the galvanic processes. 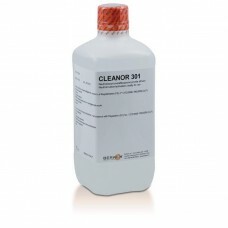 Following the treatment with CLEANOR 401 the final air drying will be much faster and with..